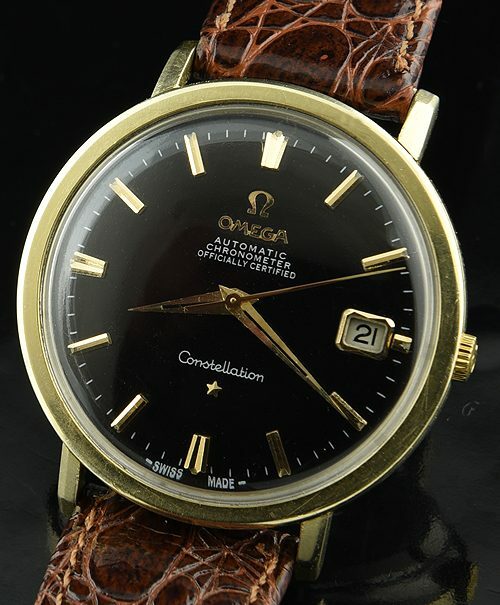 This is full size 1966 OMEGA CONSTELLATION having a perfectly restored black dial and original Dauphine handset. The gold capped case with stainless steel screw back and raised solid gold logo having crisp stars in the observatory logo. 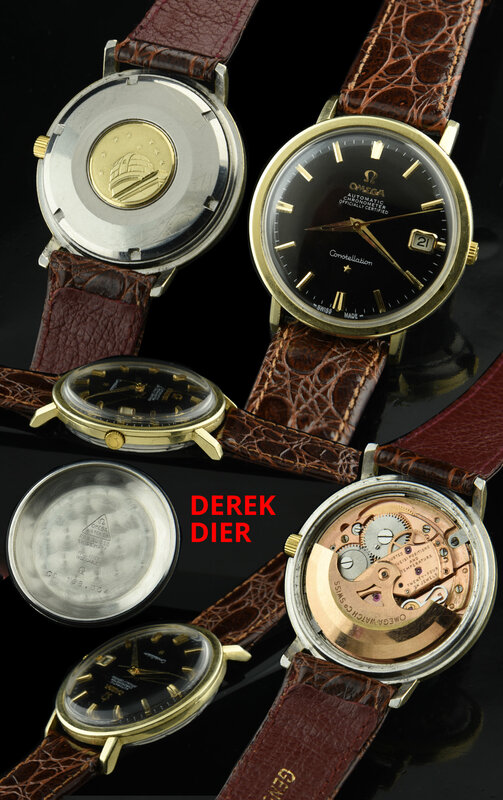 The automatic winding CHRONOMETER grade caliber 561 movement by OMEGA was just cleaned-accurate. The correct OMEGA crown is installed. This is a large case measuring 35.5mm and has an an all dial appearance due to the narrow bezel. This is a stunning looking watch.